Philadelphia Inquirer architecture columnist Inga Saffron has quite a story. I’d call this aggressive negligence. Once upon a time it was a stately Philadelphia townhouse…. Today the 19th Century building is a weed-choked wreck with bricks popping out of the facade. Upper windows hang slack-jawed, like a drunk who just passed out. Graffiti dances across a side wall. A family of possums has colonized the interior. It has been like this, neighbors say, for a good 15 years, perhaps longer. They’ve called building inspectors, signed petitions and corresponded with city officials – with little results. Neighbors have even offered to buy the house from its owner, who currently owes $31,772 in back taxes. Such tales of neglect and lax enforcement could be told about any number of blighted, vacant houses that litter the hardscrabble corners of Philadelphia. What distinguishes this one is that the property is located two blocks off Rittenhouse Square. This kind of neglect has consequences — not just for the neighbors who live on that block, but in promoting civic apathy. If even rich, well-connected people can’t get an eyesore like this taken care of, what chance do the rest of us have? I’ve hesitated to post this, because I’m not totally sure I endorse the frame it imposes. But here it is: The Philadelphia Inquirer website now has a crime mapping tool, which is slightly less useful than it sounds. I’m not sure how they are defining neighborhood boundaries, although I suspect it might be by police district. Regardless, it’s a somewhat weird — some “neighborhoods” have 10,000 people and others have close to 60,000. That’s a big range. An important caveat: The tool includes only data from the last 30 days. So seasonal variation or passing trends could really mess with the numbers. I haven’t quite figured out how this tool connects to a better Philadelphia. Would like to hear your thoughts in comments. Note: I suspect this will go behind a paywall soon, but will leave this post up regardless. I want those responsible for this atrocity held accountable too, but I wonder if a year from now, all the furor over slipshod demolition and shady contractors will have changed anything. In 1996 a massive fire of discarded tires shut down a section of I-95, and for a weeks politicians and TV crews were all over the issue of tire disposal. In 2000, a nightclub on a pier in the Delaware River collapsed and killed three people. City inspectors were immediately dispatched to examine every pier on the river. And last year, the tragic Kensington fire that killed two firefighters led to a new focus on large, abandoned properties. The question is whether the city’s Department of Licenses and Inspections can really do all this stuff in addition to the other burdens they carry, many of them heavier because of past disasters…. I’ve seen a lot of people in city government over the past 25 years. Plenty of them occupy the corner office while things in their departments go on as they always have. Then once in a while, but you see somebody who has the vision, guts and managerial skill to make change. It’s not easy in the public sector, but it does happen. It means getting better technology and putting it to good use. It means understanding the arcane civil service system and making it work. It means listening to union leaders and joining them in common purpose. It means holding supervisors accountable for getting the job done. I’ve seen it happen, and it can be inspiring. You know what else can be inspiring? 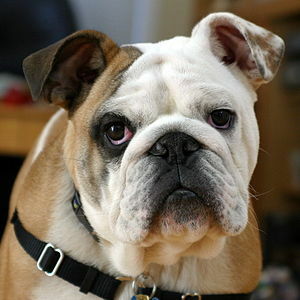 When a journalist takes hold of a story like a bulldog and hangs on for years, wringing every drop from it. C’mon, WHYY, I’m looking at you. Make a topic page and stay on this. Check back in six months, in seven months, in eight months. Track the incremental progress/lack of progress, not just the big anniversaries or the inevitable court case. Be journalists.